A Manitoba woman who runs a dog rescue is calling for a ban on dog culls. 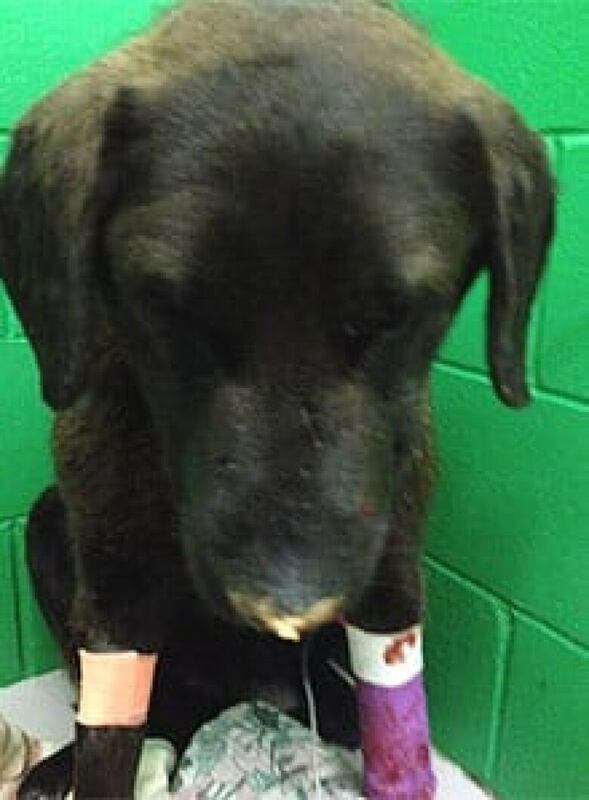 Sally Hull of Hull's Haven wants tougher rules after she was forced to euthanize a dog badly injured in a cull on a Manitoba First Nation last week. The dog, Trooper, had 17 pellets embedded in his head. "He'd been shot with a shotgun. They didn't even use a rifle," she said. "That's not a way to kill any animal. His lower jaw had pretty much been, been shattered." Hull said Trooper had lied dying in someone's yard for several days before he was flown to Stonewall for emergency care. She said his bones were splintered and his teeth had been shot out. 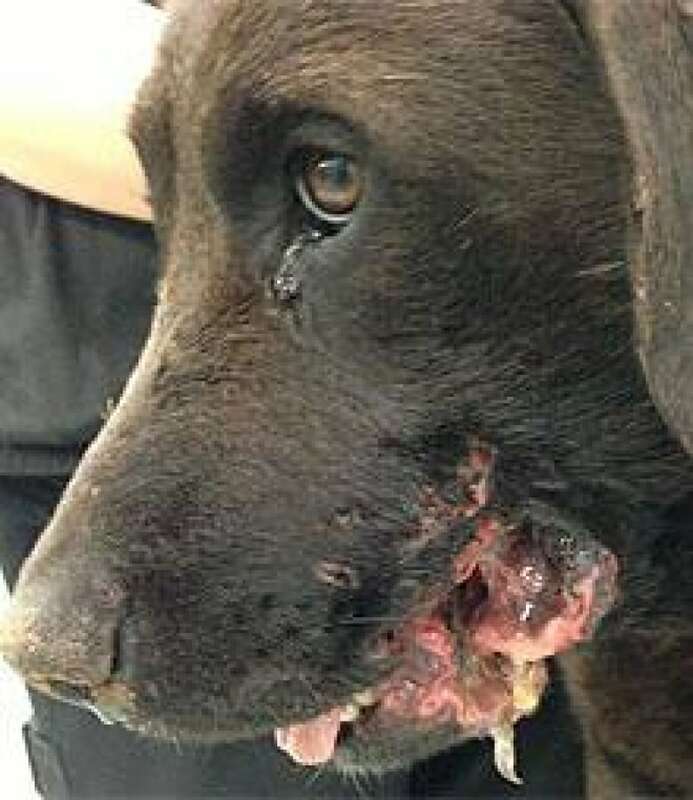 "Oh god, if you could see that dog's face, and the pain that he was in," she said. "Even though he was in agony, he was so gentle and sweet. He wouldn’t hurt anybody." "It is with heavy heart that we have to announce that due to serious complications, Trooper lost the fight and has crossed the bridge. He passed away in the arms of Sally, under the care of Dr. Mander late this afternoon. We thank everyone for their support, encouragement for Trooper and of course their donations towards his care. It is our wish that Trooper did not die in vain and that his legacy would be to end the violence of dog shoots everywhere." Hull started a border-collie rescue seven years ago. Since then, she said she has helped about 2,000 animals. She said what happened to Trooper has spurred her to do more. She wants to see rescue services like hers working with First Nation communities to try and stop dog culling. D’Arcy Johnston works with D’Arcys ARC, an animal rescue shelter based in Winnipeg. He said he hears about dog culls about three times a year. "Nothing has really been done about it. Whenever it happens there tends to be an outcry, but again, nothing really gets results," said Johnston. Hull has set up a Facebook page asking people to support bylaws governing dog ownership in all communities. Manitoba Keewatinowi Okimakanak is an organization of regional chiefs for much of northern Manitoba. MKO Grand Chief David Harper said the dog culls in some First Nation communities are necessary for safety reasons. "When you live in a remote community, it’s often dogs overpopulate," said Harper. "It’s for the safety of the children and the community." Harper said some communities are making an effort to rescue the dogs, but rescue operations can be expensive. Johnston said community leaders and government officials need to work together to come up to a more humane solution to controlling the dog population in remote communities. Both Hull and Johnston said the best approach would involve providing more spay and neuter clinics to the communities.